Indian Music – Having trained as a Tabla player in Indian Music (North Indian classical / Hindustani music), Jon has worked with various musicians in this genre. Since 2001, many of these Indian music performances have been with Samswara sitar & tabla duo. Samswara have been performing Indian music together since 2001 and have developed a strong performance rapport between them. Samswara were selected performers at the National Celebration of British Asian Live Arts in 2008, and were voted ‘Best Group in South West & South Wales’ in the MTM South Asian & Ethnic Minorities Awards 2014. 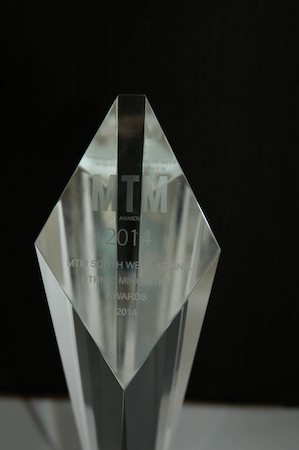 The MTM South West Asian and Ethnic Minorities Awards are organised by Radio Mast – the first Asian radio station in South West & South Wales and its aim is to ‘honour the best in the South West’. Sam is the first beat of a taal, or Indian rhythmic cycle. It’s literal translation is ‘together’. It is around this beat that the musicians weave their virtuosic improvisations and intricate compositions, passing the music between them, with each Avartan, or cycle inspiring the next. Swara are the notes of the Indian musical scale. The literal translation is ‘self shining forth’ – a strong feature of Indian music is of the performers bringing the music to life in the moment through spontaneous musical expression. Samswara – together the self shines forth. Samswara’s highly engaging and dynamic performances range from slow, meditative, melodies through to fast and highly detailed exciting rhythmical interplay. They regularly perform Indian Music together in the South West UK – Devon, Cornwall, Somerset, Gloucestershire, Dorset and have performed at events across the UK. Click here to read reviews of Samswara performances. Jon & Ricky also work together delivering Indian music workshops to schools, colleges, universities and at festivals and other events. Click here for info. Ahir Bhairav / Alhaiya Bilaval / Asavari / Bageshri / Bhairav / Bhairavi / Bhatiyar / Bhupal Todi / Bilaskhani Todi / Chandrakauns / Charukeshi / Desh / Dhani / Durga / Hemant / Hindol / Jhinjhoti / Jog / Kafi / Kedar / Khamaj / Kirvani / Malkauns / Manj Khamaj / Marwa / Multani / NandKauns / Pilu / Puriya Kalyan / Rageshri / Shankara / Shivranjani / Shri / Sohni / Yaman. Enhanced by spacious church acoustics, this recording captures the beauty and excitement of Ricky & Jon’s live performance of one of Indian musics most atmospheric and emotional Ragas, Rag Kirvani. Recorded live in The Minster, Axminster, Devon 5th May 2006. The performance was a benefit concert for The Tulsi Trust Indian Jungle Health & Education Project. Looking to find a performer for your event? Samswara sitar & tabla duo are available for Indian Music performances at Arts Centres, Festivals, Melas, Cultural events, Weddings, Functions, Corporate & Private events. 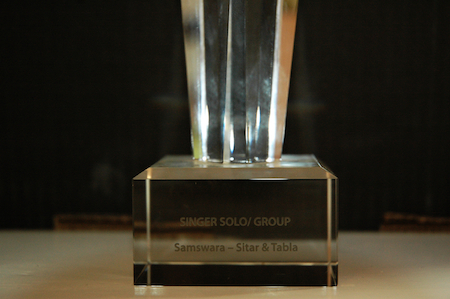 Samswara Sitar & Tabla duo are based in Stroud in Gloucestershire & Axminster in Devon. Sitar and Tabla performers in Devon, Somerset & South West UK, they also travel to perform in London, Birmingham & the Midlands, South Wales, Dorset, Hampshire, South Coast and throughout the UK.